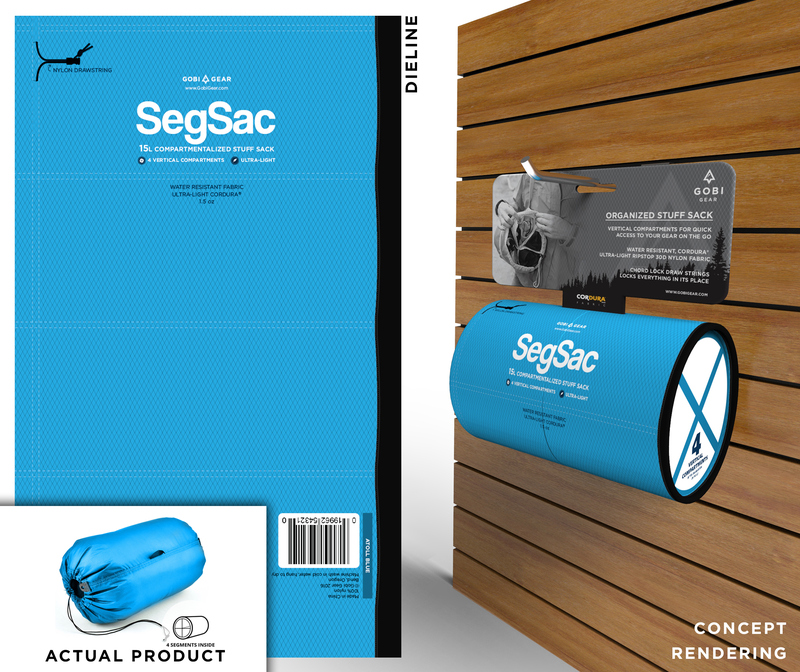 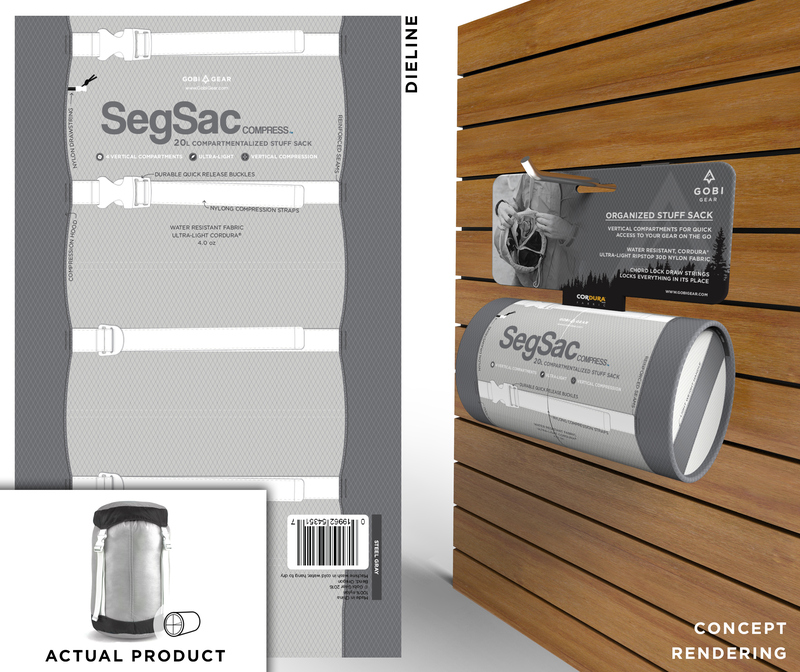 With three products, the Hoboroll, SegSac, and SegSac Compress, and over 3 different sizes for each product, a cardboard tube design provides consistency across the brand, while the graphic representations of the product highlight the nuances of each stuff sack. 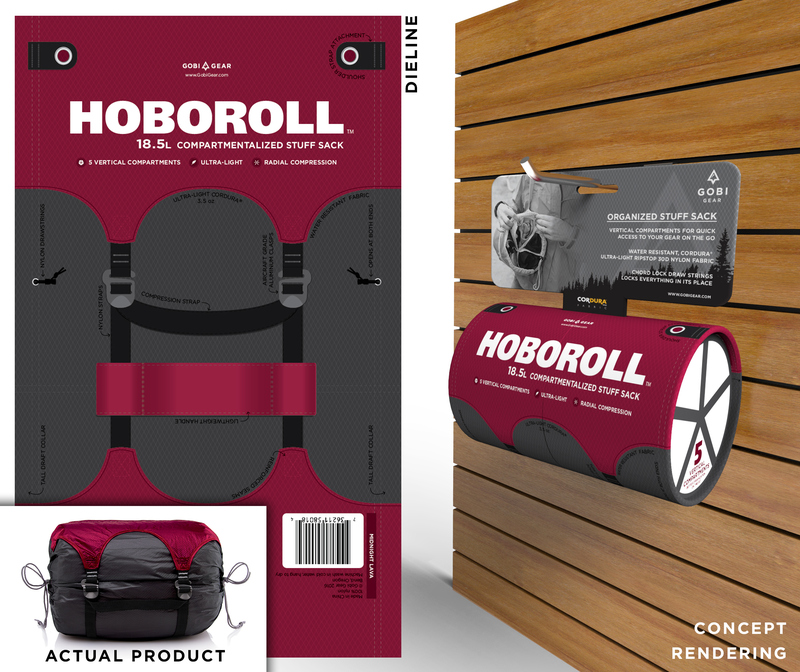 What makes Gobi Gear stuff sacks different from their competition, is their use of vertical dividers to allow for increased organization. 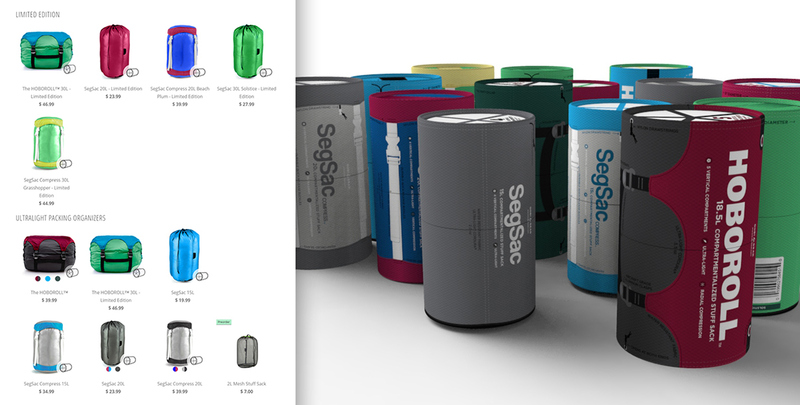 Each end of the tube cleverly displays the number of vertical dividers with an icon, to provide as much information to the consumer as possible.